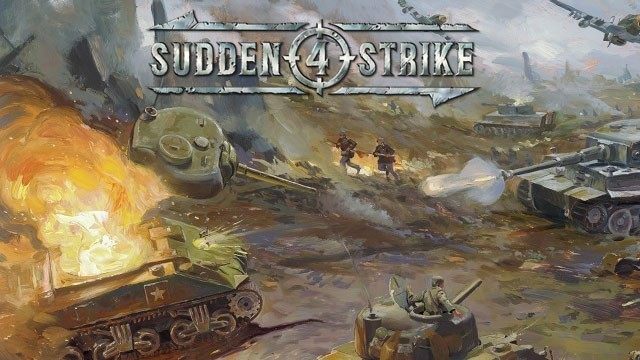 Gameplay-facilitating trainer for Sudden Strike 4 . This trainer may not necessarily work with your copy of the game. Available here: Sudden Strike 4 Trainer. Numpad 1: Super HP - This option will only work and 'take hold' if you pause the game FIRST. Press SPACE to pause the game, then make sure no other unit is selected then toggle this option ON and then MOUSE OVER a unit to affect it. Be careful that you are only over the unit you wish to affect and that a group of units isn't selected. Once you have affected all the units you wish to affect, toggle the option BACK OFF, and then press SPACE to re-engage the game. Numpad 2: Weak HP - This option will only work and 'take hold' if you pause the game FIRST. Press SPACE to pause the game, then make sure no other unit is selected then toggle this option ON and then MOUSE OVER a unit to affect it. Be careful that you are only over the unit you wish to affect and that a group of units isn't selected. Once you have affected all the units you wish to affect, toggle the option BACK OFF, and then press SPACE to re-engage the game. Numpad 3: Massive Skirmish Reinforcement Points - while in skirmish toggle this on once the match starts and you can begin calling in recon, paratroopers, strikes, etc. Numpad 4: Give All Campaign Disciplines - toggle on before entering the campaign mission, where you can spend Discipline points and note that all disciplines are enabled. You can check each discipline area to see they are all on before starting the campaign mission. Numpad 5: Unlimited Ammo and Items - make sure you have fired or used at least ONE item or fired a weapon once and then toggle this on and from that point on most weapons and items are unlimited. Numpad 6: Unlimited Fuel - make sure to move a vehicle at least once and then toggle on to allow most vehicles to have unlimited fuel. Numpad 7: Invincible Army - toggle this on and your units are impervious to damage. Numpad 8: Remove Fog Of War - toggle on and wait a moment and most of the map is exposed. Please note that due to the game exposing and controlling all units at once, there is a frame rate performance hit, so use when necessary. Numpad 9: Allow High Health Values - for some units the Super HP won't work unless you use this first. Toggle it on then leave it on and then use the Health options.